Remember when we went to Cebu and tried Zubuchon? We really had a hard time looking for Zubuchon, even Taxi drivers don't know where Zubuchon is. Thanks to 3G! Anyway, we arrived early and to our disappointment, Lechon is not available. WAAAT? 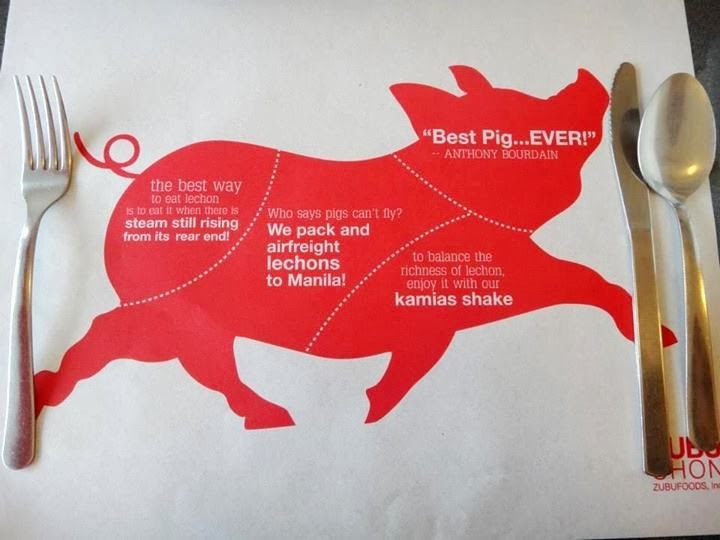 Oh btw, the reason why we are trying this one is because of Anthony Bourdain, who says that it's "THE BEST PIG EVER". While I opted for their Breakfast Zubuchon Meal plus their "IBA" (kamias drink). Sorry Anthony Bourdain, but it's not the best pig ever. It was OK, but no kick factor. 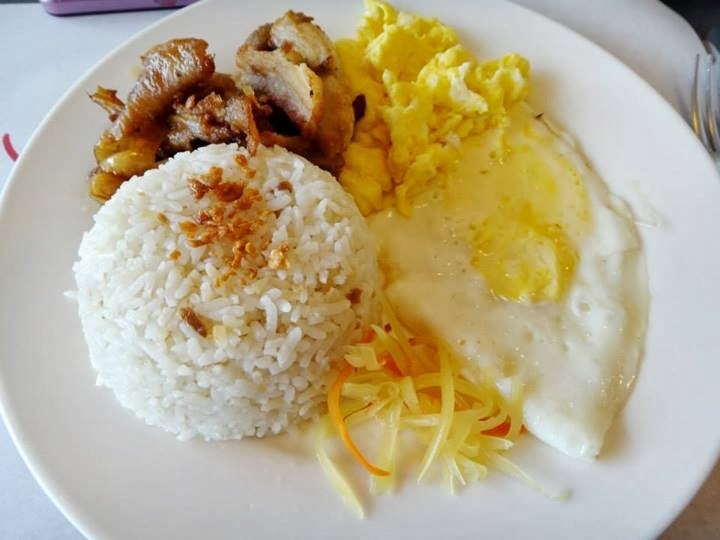 I promised myself to go back at Zubuchon to try the "real lechon" not just the breakfast type, for us to know the difference and to put a fair judgement. And on our next visit, we make sure to try the famous lechon. Our food came in late, good thing, boyfie is busy. haha. I had their Stuffed Squid with Sisig Zubuchon (360 pesos)- I loved how they creatively made this dish! It was pretty good but a bit salty upon my liking. 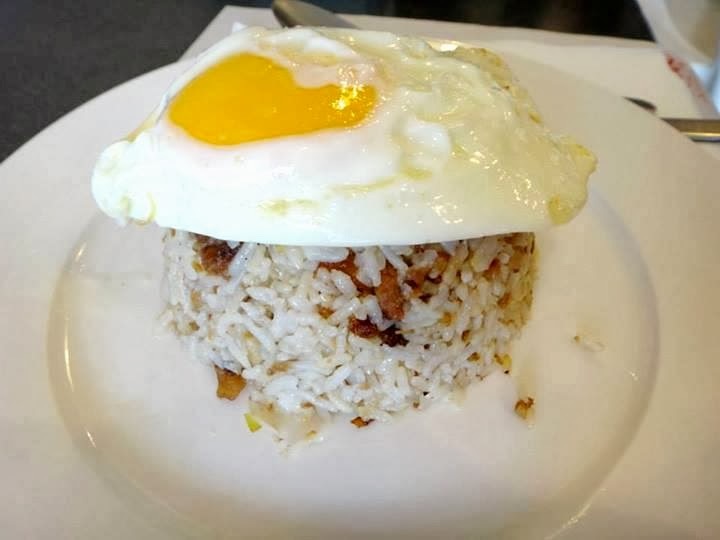 Zubuchon Rice Meal (160 pesos)- So here's the real deal. Not like the fried-like lechon that I've tasted. How is it? It's pretty disappointing. It's not flavorful and needs flavorings bigtime! It tends to be bubble gum upon chewing. The skin wasn't crispy like how it should supposed to be.